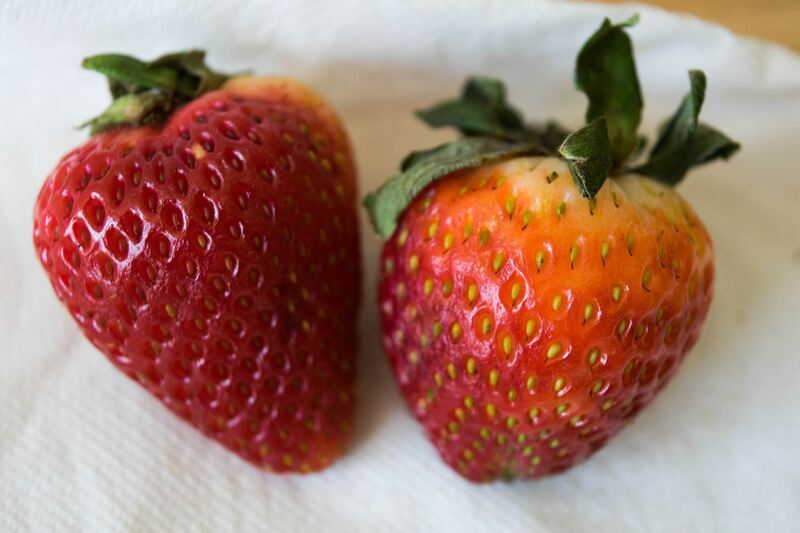 During the summer, fresh strawberries are everywhere: at your neighborhood farmers market and in many desserts like strawberry shortcake and strawberry rhubarb pie, to name just a couple. Bringing home a few baskets of the ruby red fruit always seems like a good idea... until they begin to turn to mush or grow mold only a few days later. In the spirit of keeping strawberries as fresh as possible for the maximum amount of time, we went ahead and experimented with four different ways to preserve their freshness. Read on to see the one method that kept the berries fresher than all the others. 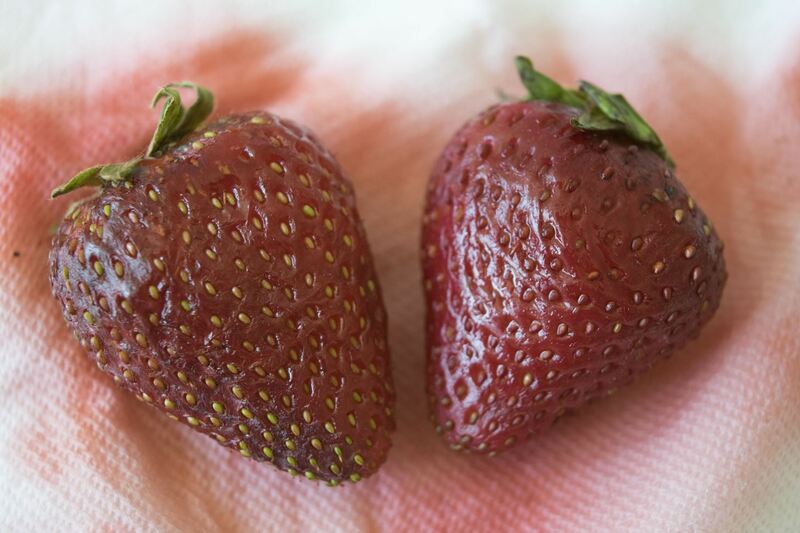 To make sure all of the strawberries were treated equally (this was a scientific experiment, after all), each rinsing method was given a 30-second time period, and then the berries were patted dry with a paper towel. 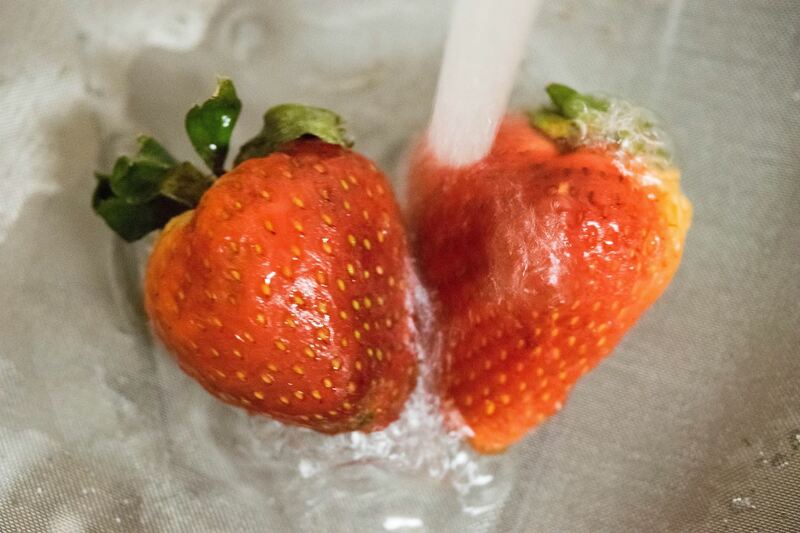 Each method's strawberries were also given their own distinct containers that were lined with paper towels to catch the extra moisture, and lids that covered the tops only halfway to let the air circulate. The strawberries were left in the refrigerator for exactly a week in the vegetable/fruit humidity drawers. This easiest, traditional method was our control. At the end of the week, these were the softest out of all the pairs, and therefore the worst in the bunch. 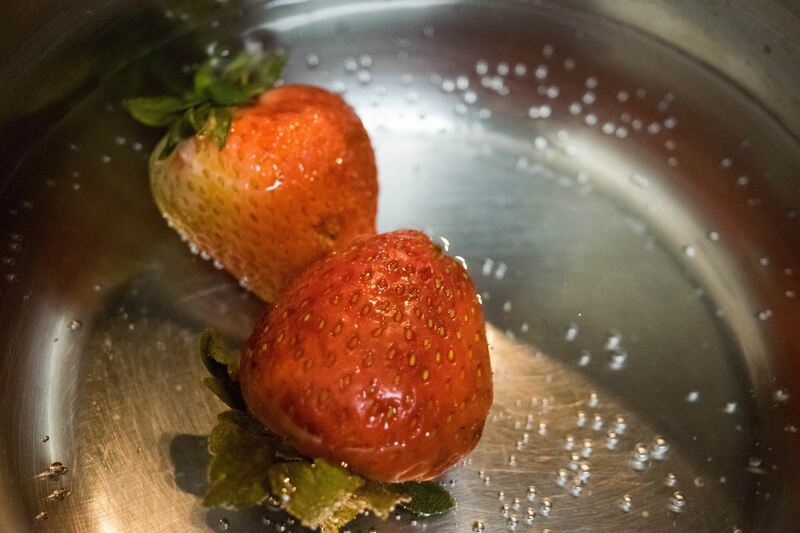 Placing the strawberries in a vinegar-water mixture (one part vinegar to three parts water) in a shallow bowl did wonders for them a week later. They seemed to be as good as new, with little wear-and-tear. Hurrah! After a week, these strawberries were in good shape and still maintained their structure (even if they were beginning to get a bit soft). I would have no problem eating these berries or using them in a recipe. 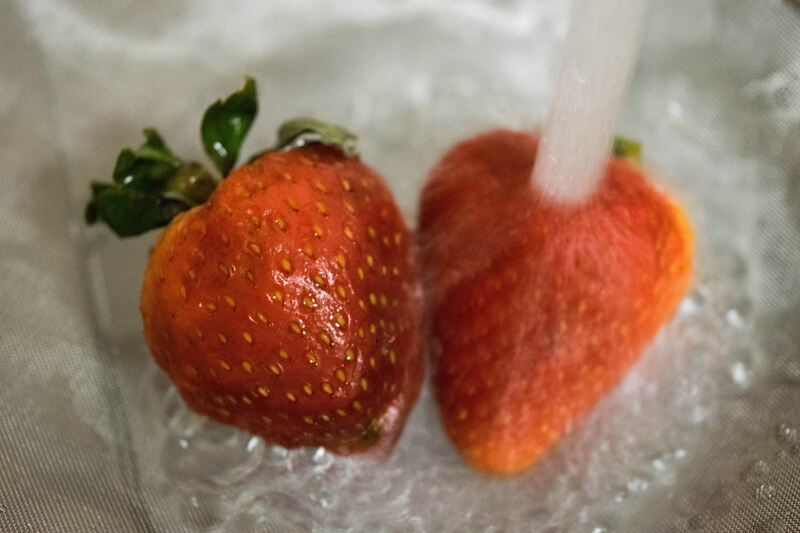 Inspired by Harold McGee's thermotherapy tip that was featured in the NY Times, the strawberries were dipped in 125°F water briefly. After a week in refrigerated hibernation, they were beginning to get mushy, but were still very much intact. Don't Miss: Water, Lemon Juice, Vinegar, or Nothing: Should You Even Bother Rinsing Chicken? After a week, all the strawberries were surprisingly mold-free (a big deal for someone who has had to throw whole batches of strawberries away in a few days). 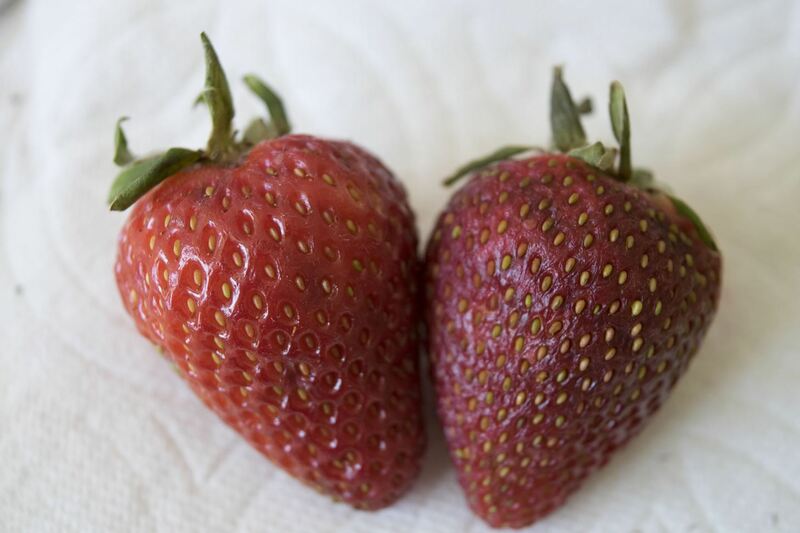 After acknowledging this triumph, though, a clear pattern emerged: the strawberries that were rinsed in hot water, boiling water, and vinegar water were fresher due to the higher bacteria-killing properties of these three methods (though hot tap water is the least bacteria-eliminating of these three). 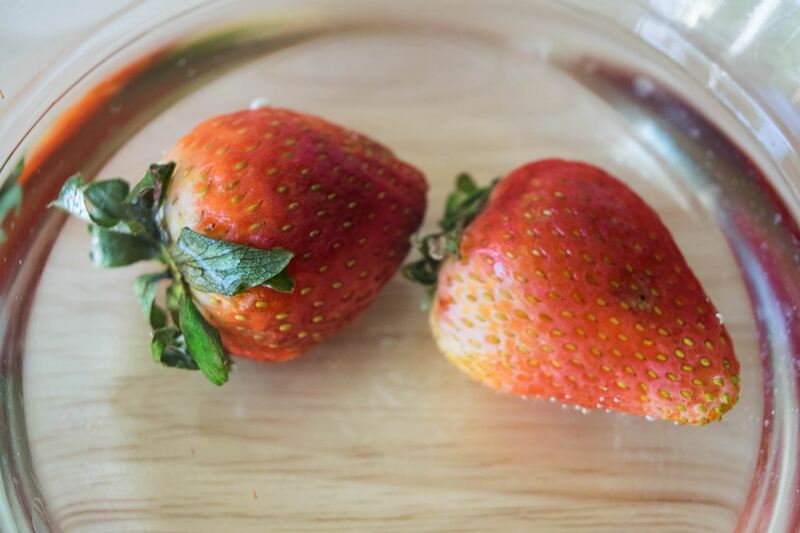 The strawberries that were dunked in the vinegar-cold water bath came out on top. This makes sense because this method has the highest acidic level in comparison to hot and boiling water. 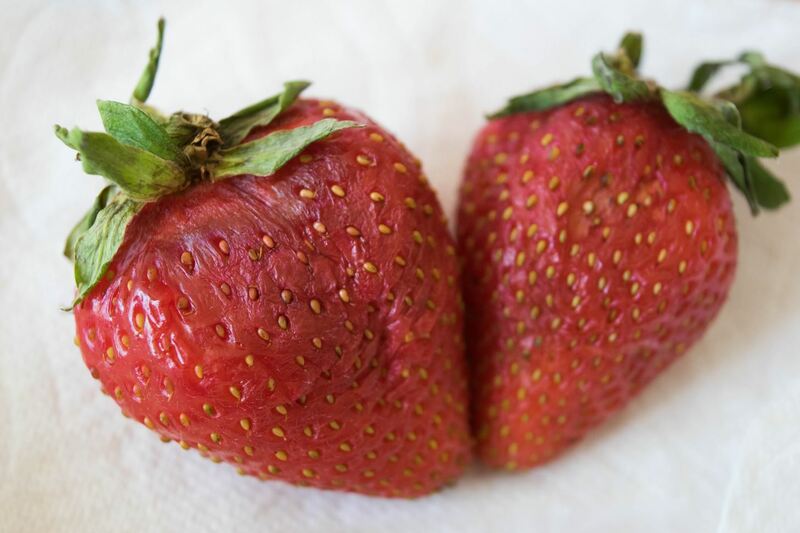 Now that you know how to keep your strawberries fresh, go on and head to your local market to stock up! Let us know in the comment section below if you have tried any of these methods, or clue us in on any others that you use.